Shu Uemura is a makeup brand that I love and hold dear because it is formulated with Asians in mind, and designed for the everyday woman. Their foundations are great value for money, and I’ve loved and emptied several bottles over the years. The latest release – Unlimited, is a brand new launch that stands apart from all its other foundations [see here], and features breathable long-lasting wear. The bottle is an unusual cube shape (all other Shu Uemura foundations are cylindrical), and has a handy pump dispenser at the top. The foundation is a lightweight fluid that is extremely fine and is a dream to blend. Shu Uemura has developed a unique stretchable texture that holds pigments in place; and used sponge-like powders that absorb sebum and sweat to keep the foundation looking fresh all day long, even under hot humid climates. Shu Uemura Unlimited Foundation has a natural semi-matte finish with a healthy luminosity. Even the thinnest layer is able to effectively conceal dark circles and uneven skin tone. With this new launch, Shu Uemura has offered 24 shades to suit a wide range of skin tones. I am wearing the shade 664 which is one of the new shades and is a great match for my neck. It is a beautiful foundation and one that I am wearing on a regular basis. 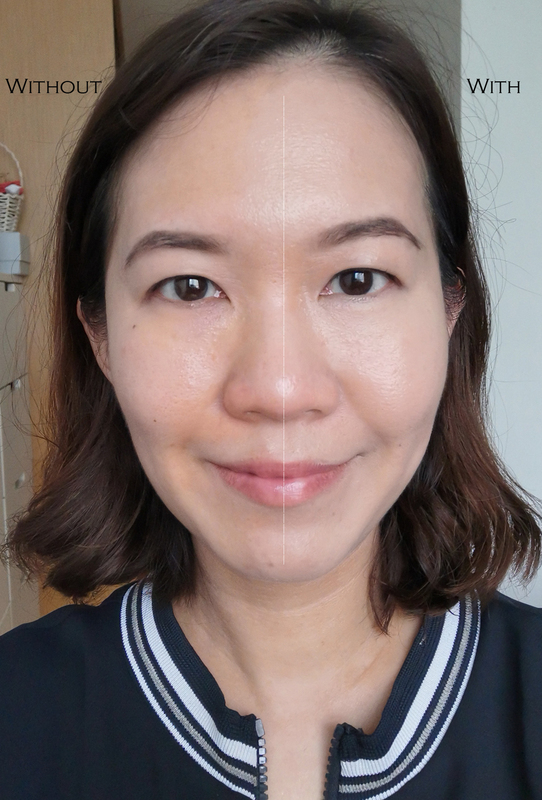 Of the 3 new liquid foundations that I’ve tried of late, Shu Uemura’s Unlimited is my favourite and I highly recommend you check it out! This post featured a product that is generously provided for my consideration. Regardless, all opinions expressed here are my own honest, unbiased views.